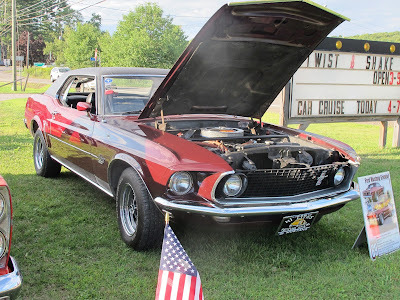 Eric Jacobs, a member of the Hi Lites Motor Club and a senior in his local high school, is coordinating a Car Show to benefit the Juvenile Diabetes Research Foundation. The car show is for Eric’s senior class project. Eric will be receiving assistance from the members of the Hi Lites Motor Club. The event is scheduled for Saturday, July 30, 2011 and will take place at the Hanover Recreation Club Park. The park is located on Front Street in the Hanover Section of Nanticoke, PA. Gates will open at 9:00 Am with awards being made at 3:00 PM. There will be door prizes, a 50/50 drawing, music and an Elvis Impersonator. Food will be available and is being prepared by Joe’s Pizza of Nanticoke. LaFratte’s Catering will also be providing their services. Registration on the Day of the Show will be $10.00 with proceeds going to Juvenile Diabetes Research. Trophies will be awarded to the top 50 vehicles. Everyone is welcome to attend, and support from the local community is encouraged. Car Clubs in the Wilkes-Barre / Scranton area are encouraged to attend and support this benefit car cruise. A printable flyer is available for downloading by clicking here.